What are the odds of ‘disrupting’ the gaming industry? We all know that gambling is a hot-button issue in Australia and undoubtedly a growing industry thanks to the new gambling startup Lottoland who has just been granted a gambling licence by the Northern Territory Racing Committee. 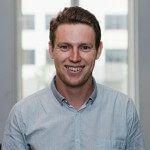 The CEO of Lottoland Australia, Luke Brill, is labelling the startup as an uber-esque disrupter who is changing the face of an industry that is crying out for innovation. In its current state the Australian gaming industry is dominated by betting operator, the Tatts group. In a monopolistic like manner Tatts controls and operates the lotteries of each state and territory with the exception of Western Australia (where the government controls the lottery). Leaving aside potential government regulations, it certainly looks as though Lottoland will be challenging Tatt’s monopoly over lotteries in Australia. The best way to get your head around how Lottoland operates is to forget everything you know about the lottery. When using Lottoland you don’t actually buy tickets in the official lottery draw but rather bet on a series of numbers coming up. The return is relatively simple. If you bet on the correct numbers, the payout will be the exact amount you would have received if you had bet in the lottery itself. However, Lottoland does not payout from its own pocket or from revenue coming from bets but rather from insurance that the company has taken out with Lloyd’s of London. So essentially, Lottoland is betting against your bet through taking out insurance. Taking a chance on legal issues? As it stands, there has been limited legal criticism of Lottoland’s operations in the Australian market. However, there are some potential legal pitfalls for the new startup company. Lottoland promotes betting on already existing lottery draws operated by companies such as Oz Lotto and Powerball Australia. This means that Lottoland may be engaging in unauthorised use of another these company’s registered trademarks. Through using these trademarks it is arguable that Lottoland would attain an advantage and mislead the average punter into thinking there is a connection between themselves and the mainstream lotto brands. This could possibly lead to a claim in passing off! Something that Lottoland ought to consider very carefully. Lottoland must also respect the copyright in which existing lotteries have over their results. Whilst information does not attract copyright per se, it would certainly be an interesting situation if the mainstream companies sought to protect the copyright in their results. If the lotteries can prove that they have a unique and original method of producing results, Lottoland may be breaching copyright. If I were a betting man I’d put a fiver on a legal challenge to Lottoland’s operations in Australia. Most of the criticism has stemmed from gambling critics who believe that Lottoland will exacerbate the already existing social issues associated with gambling. Traditionally, gambling in the lottery is a safe method of gambling. However, Lottoland offers a more dynamic way to bet on the lottery. Firstly, Lottoland makes it possible to bet on international draws with higher payouts and incentives, e.g the US Powerball and Euromillion. This means that you can bet on a major draw every day of the week. Also, Lottoland allows punters to access ‘in-play’ betting. This allows punters to bet on live changing odds during a lottery draw. This parallels live sport betting which is cited as a potentially addictive method of betting due to the increased excitement of live betting. As Lottoland undoubtedly offers a more dynamic and potentially addictive method of gambling, it is not a stretch of the imagination to foresee government regulations and legal challenges to Lottoland. However, as it stands Lottoland is surely going to thrive in a nation that invests more money in the Melbourne Cup each year than into small business. Happy gambling everyone! Let us know your thoughts on Lottoland’s bid at disruption by tagging us #lawpath or @lawpath.